When one plans for a vacation in South India, then one of the top choices is Ooty. What makes this beautiful place so popular are the scenic beauty of nature and the picturesque foggy roads! It is no wonder to see Ooty drawing hundred and thousands of tourist every year, who come here looking for respite from the heat of the plains and hectic lifestyle. Ride on the Nilgiri train journey and go through the beautiful scenery filled with tunnels, curves, and bridges. Ooty Lake is a popular attraction here, and Botanical Garden spread across a vast area boasts of lots of variety of plants and flowers there. The Stone House is a must-visit for history buffs as it is known for its fantastic architecture. Staying in this hill station in a guest house can be exciting. Thankfully, you will find a good selection of guest houses in Ooty in addition to hotels in wide-ranging budgets. After enjoying the scenic beauty of the hill town, it would be great to come back to an accommodation that is just perfect for relaxing and offers a comfortable stay. Just go through the reviews by other guests and tourists to make your decision. Although there are many guest houses in Ooty, there are just a few that make a cut above the rest. While most guesthouses boast of offering the best facilities, you need to be careful and make the right choices. The guest house you pick should meet all your needs and preferences within your budget. What makes a guest house perfect is the location, the facilities and the services being offered. The leading Ooty guest houses are located at prime locations and offer mountain views and magnificent scenery wherever you look. The main touristic spots, the market area, and the transport hub are just minutes away. A warm and hospitable staff will attend you and help you to settle in their modern and spacious rooms equipped with the latest amenities. Enjoy facilities like private bathrooms, satellite flat-screen TV, coffee machine and a living room. Each room comes with a terrace and/or a balcony from where you can enjoy the scenic views around. The rooms are well-furnished and elegantly decorated. Guest houses usually serve simple home cooked meals tourists love. 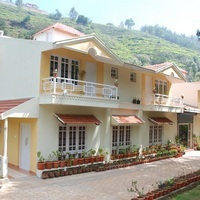 There are several other accommodation types in Ooty where you can stay, but guest houses in Ooty remain the most popular, especially for those looking for convenience, privacy and a comfortable stay. At Cleartrip, you can save your time and effort as you get the best listing of the most popular guest houses and Ooty hotels here. For example, Pinewood Guest House offers a unique and fun experience and is just perfect for a family vacation. It makes sense to plan your trip only with Cleartrip as you get to pick only from the most popular properties rated high for their location and services. You are never far from the central city and are amidst nature. Look for your preferred property type form those endless listings. Start online comparison shopping early as Ooty is a popular hill station that draws tourists round the year. Booking early for your vacation means more choices for budget places and cheap flight options. When you begin early, you enjoy the luxury of time and planning your itinerary. You can read reviews and ask your friends to learn more. There is no need to spend a fortune on your vacation when you can enjoy more for less. Whether you are planning a trip with friends or family or you are going on a business trip to Ooty, you just cannot go wrong with the hotels and guest houses in Ooty available on Cleartrip!